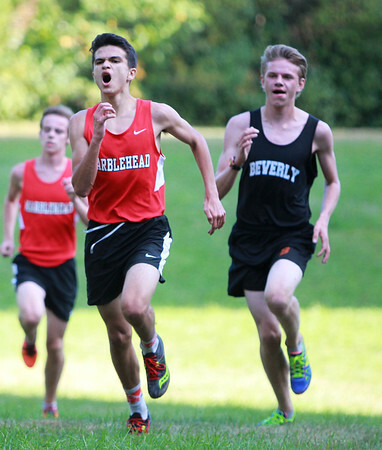 Marblehead sophomore Oliver Jacob, left, sprints past Beverly senior Charlie Boschen, at the finish line. DAVID LE/Staff photo. 9/23/14.